The Screen Actors Guild Award winners were announced last night with very few surprises. Here are the full list of nominees. The only one out of these I didn't predict correctly was American Hustle for Best Cast. I'm gutted that the 12 Years A Slave cast didn't get that. After the Golden Globes, the Critics Choice and now these, it looks like we've got a couple of absolute dead certs for best actor and actress with Blanchett and McConaughey looking unbeatable. Fingers crossed 12 Years A Slave will be the Best Picture winner on the big night and not American Hustle and I'd also really like to see Leto and Nyong'o repeat their success at the Oscars. As usual there were a bunch of other winners so here is the full list. The only one of these that doesn't seem right to me is the American Hustle win. 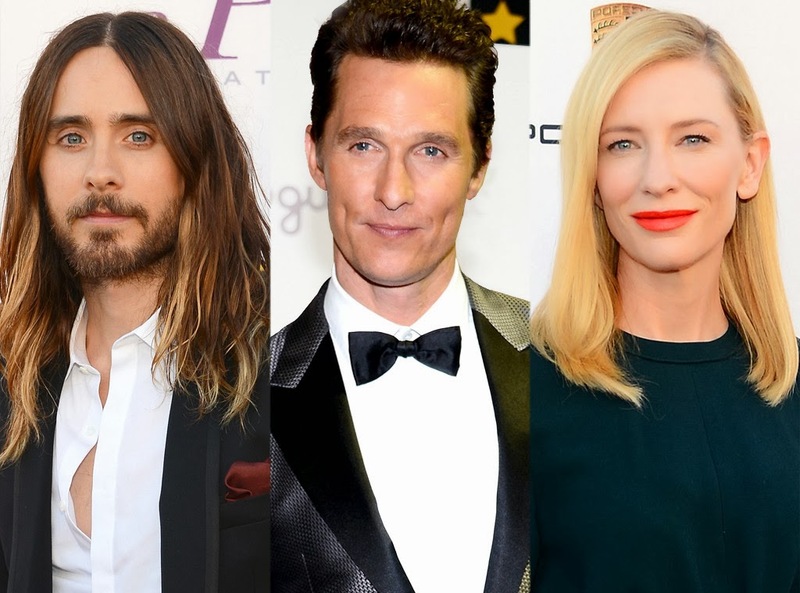 The cast were excellent but I just feel that either 12 Years A Slave or Dallas Buyers Club had stronger casts that had to give bigger and braver performances. Perhaps I'm just swayed by the emotional battering of these two as opposed to the more light-hearted American Hustle. Either way, it looks like I might as well kiss goodbye to that £2 I bet on Ejiofor to win Best Actor at the BAFTAS. That was a dumb move placing that bet before the Golden Globes, Critics Choice and Screen Actors award winners were announced. Ejiofor was the favourite when I placed the bet but I suspect he won't be anymore!! Producers Guild Awards are tonight and the list of nominees are here.